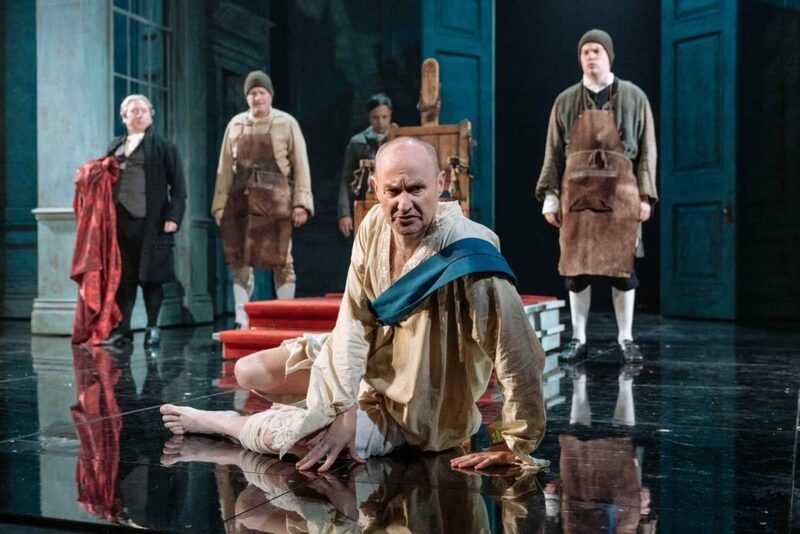 Mark Gatiss as George III in the Nottingham Playhouse production. While the cast were rehearsing in London, the Georgian Papers Programme visited to provide a briefing for the actors and director. At this meeting Arthur Burns talked about the historical context, while Sir Simon Wessely discussed George III’s medical condition from the perspective of a modern psychiatrist. Sir Simon, the first regius professor of psychiatry at the Institute of Psychiatry, King’s College London and from 2014 to 2017 president of the Royal College of Psychiatrists, has been associated with the Programme since he participated in the BBC documentary The Genius of the Mad King in 2017. He was able to bring his extensive practical experience of treating mental health issues to give a fresh perspective on George’s illness to the actors, of particular interest since the balance of opinion on the diagnosis of George’s illness has changed since the play was written in the 1990s. At the time of the BBC documentary, Sir Simon also wrote a short blog for the Huffington Post about George’s condition, and today we are posting a link to that article to bring it to a wider audience. It is also a happy coincidence that the Nottingham performance coincides with the public receiving access to the private medical papers associated with George’s illness that form part of the Georgian papers for the first time, affording an unprecedented opportunity to investigate the subject at first hand through the often deeply moving documents penned by both George III’s doctors and the royal family and their associates. The Georgian Papers Programme takes a keen interest in representations of the Hanoverian royals on stage and screen (you may already have visited the virtual version of the exhibition we staged at Windsor Castle for the actor Michael Jibson, who plays George III in the London staging of Hamilton: An American Musical, about which we have also blogged). We have been lucky enough to work closely with the Nottingham Playhouse production, the most ambitious project in Adam Penford’s first season as director there, and which has received rave reviews, not least for Mark Gatiss’s central performance as George himself. 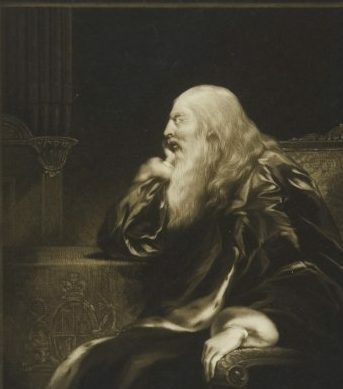 In addition to the meeting with the cast, Arthur Burns and Karin Wulf have written on the play’s relation to historical writing about George III in the programme for the production, and we also took Mark Gatiss out to Windsor Castle to view many of the original documents relating to George and his illness, a visit documented in the short film to be shown during the National Theatre Live interval. As with Michael Jibson’s visit, the exhibition has been reproduced virtually for all to see on the Georgian Papers Programme website here. We thus maintain the relationship with this classic play which began when, in one of the first events associated with the Programme, its author Alan Bennett joined its first director Sir Nicholas Hytner onstage to discuss the genesis of the piece as part of King’s College London’s Arts and Humanities Festival in 2016, a discussion which you can still watch here.